Mr. Eckert earned his Juris Doctor from DePaul University College of Law in 2016, where he was a staff writer for the DePaul Journal of Healthcare Law and on the Dean's List. He graduated from Michigan State University in 2012 with a Bachelor of Arts in Political Science and HIstory. Ryan was admitted to the Illinois bar in 2016. 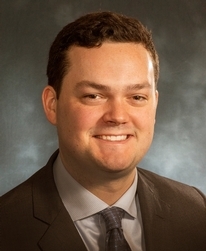 Ryan Eckert is a litigation associate of Lipe Lyons Murphy Nahrstadt & Pontikis Ltd. who focuses his practice on the defense of premises liability, construction liability, transportation liability, and product liability claims. Prior to joining Lipe Lyons, Mr. Eckert spent multiple years as a litigation attorney for a Chicago-based firm defending insurance carriers and their insureds in personal injury in negligence, premises liability, and complex construction litigation.